Blogging is a great way to share your knowledge and experience with other people. If you’re considering starting your first blog then keep reading for detailed information about setting up a WordPress Travel Blog. You’ll find information such as whether to go for a self-hosted installation or hosting on WordPress.com, a suggestion on who you should host your site with, picking a domain, a little bit about themes, plugins, and finally setting up a mailing list. Most “Ultimate WordPress Guides” just go into what you need to click to get started, but that’s the easy part. This guide is designed to give you more technical information, which is what you should know before you even start clicking buttons. Hopefully after reading this ultimate guide you will have a good idea on setting up your own WordPress Travel Blog. Creating each page from scratch – I initially started creating a blog on my photography website which wasn’t designed for blogging and it took ages to create each page and make it look good. After a short time I decided against this. Google Blogger – I then tried Google Blogger which I wasn’t a fan of. I found the layout options limited and simple. WordPress – I then decided to try WordPress which ended up being the best solution. This site you are on is built on WordPress. You can use this menu below to navigate quickly to the different sections of this guide. Well to start with WordPress now powers around 27% of the world’s websites (if that doesn’t say something). The software is built on a content management system and is free to use. This will probably be your first major decision with WordPress. I imagine most people initially host their website through WordPress.com and then later decide to switch to a self-hosted provider and install the WordPress.org app (which is easier than it sounds). Here are some of the reasons I decided to go Self Hosted. Plugin limitations – You are limited as to what plugins you can install if hosted by WordPress.com – Most bloggers use plugins to add endless functionality to their site. WordPress.com prevent you from installing many plugins as a security measure but this will also severely limit your site to many cool and useful features. Themes limitations – You can’t use custom themes on WordPress.com – Having a nice theme is extremely important and you definitely don’t want this restriction. Again WordPress.com put this down to security, but it may in fact be that they don’t want it to be on them if something goes wrong. 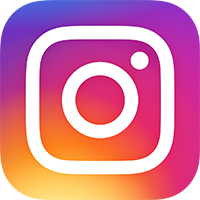 Ads – On free accounts, they will occasionally show adds on your posts, which you have no control of unless you have a paid package. Less storage space – Having your site hosted on WordPress.com will only provide 3GB of storage (on the free plan) which would be fine initially but if you have a lot of images and other media you will quickly eat this up. You can pay for the paid packages for more storage though. You can place your own ads – This includes things such as Google Adwords and other types of promotion. If you use WordPress.com you will be limited to only showing ads that they deliver, or opting into their WordAds option once you are big enough. WordPress branding – On the free plan you will have WordPress branding on your site which is removable on the paid plans. Custom Domain – You will have a WordPress.com subdomain unless you have a paid plan, or pay a little extra for the custom domain on the free plan. If you want your blog to look professional then a custom domain is vital. More control of backend services and resources – By being self-hosted you will have more control of the server and resource management which could allow you to deliver a fast site. Resources include such things as increasing the amount of ram available and IO connections. So which should you go with? Well if you are just wanting to give blogging a go, but are unsure on how serious you want to take it, then WordPress.com may still be ok as a starting point. If you intend to grow a huge and professional blog you should probably start with a self-hosted WordPress.org package. Many host providers (see the next section) will have a click and install option available making self-hosted very easy. Picking the right host provider is extremely important. In the past I have used 1and1.co.uk, GoDaddy.com and now I use FastComet.com and trust me when I say FastComet is easily the best provider out of all of them. When I was using GoDaddy.com my website would often go down and was quite simply unreliable despite implementing every optimisation technique I could and paying for extra server resources. I am recommending Fast Comet hosting based on my own experience and this website is hosted with them, therefore test this website and see the speed for yourself. Here these are the reasons I rate them as a good host provider. Incredible speed – I choose the Speedup Rocketbooster package which comes packed with high-performance features, allowing your site to load extremely fast and improves viewers experience. When I initially contacted FastComet the sales guy said that this package should make my website almost appear instantly in a viewers browser, and often that is the case. PHP7 – As new PHP version are released it’s good to have one of the latest versions. They tend to be more secure and a lot faster. This FastComet package came with PHP7 and the performance increase has been incredible. Excellent customer service – You can easily contact the technicians and they are very knowledgeable and helpful and will provide lots of tips. I have only used the ticketing system so far, but it has been extremely quick and easy. Transfer your website – They will transfer your website for you which makes moving across to them easy. My website was several gigabytes and the transition was smooth and painless. Professional and well-designed client area – The client area has a nice clean design and easy to find your way to what you’re looking for. cPanel – The cPanel provides huge amounts of options and information such as resource usage, email setups, server options. The list would go on and on. I think the cPanel provided is again clean and well organised. All I will say is whatever you do don’t make the mistake of going with GoDaddy. When I was with them my site performance was dreadful and would often go down which caused lots of unnecessary and embarrassing frustration. There are lots of extras you can purchase from FastComet. Below you will find a few of them with recommendations as to whether you should get them. Search Engine Submission – I think this is definitely worth it, although you should only do this once you have some content on your blog and it’s all up and running. This is because you don’t want the search engines to start analysing and ranking an incomplete site. I would recommend requesting this service to be run once you have at least 10 pages of content and you have optimised the layout for both mobile, tablet and desktop viewing. When I requested this service my site was submitted to Google AOL, Excite, Entireweb, Gigablast, Dogpile, WebCrawler, ExactSeek, ixQuick, Mamma and Bing (which includes Yahoo!, Altavista, Lycos, Hotbot, GO.com). Assuming this brings traffic to your site then this is definitely a good add-on. Search Engine Optimization (SEO) Audit – I purchased this but was disappointed as it wasn’t as detailed and helpful as I hoped. It only gave me a report on my landing page. I was hoping to get some analysis on all my pages on my website, such as pages with low word counts, maybe an analysis on which keywords pages might get ranked for etc. For this reason, I advise against this add-on and download Yoast SEO instead, plus do some reading on their blog posts which are very detailed and thorough. If FastComet improves this add-on then it may be worth it in the future. Google SiteMap – I think this is more relevant to none WordPress blogs. The Yoast SEO plugin will generate and submit the sitemap for you so I wouldn’t advise getting this add-on. The Fastcomet add-on also doesn’t make it clear if this sitemap gets updated every time you make updates to your website, which is also very important for Search Engine updates. Domain privacy (ID Protect) – I didn’t purchase this but it’s designed to protect your personal information from spam and other annoying attacks, as well as various other things. This is a personal choice. Once you have decided on how you’re going to host your WordPress site you should then register for a Domain Name. You can do this through your hosting company such as FastComet.com which I use. If you are transferring your website and hosting to FastComet you will also be able to switch your domain across to them also. Picking a theme is important. If you don’t like your theme then you probably won’t be as dedicated to your website. A theme is also important so that your site is visually attractive and nice to use. A good theme will also be optimised for mobile, desktop and tablets and will provide lots of customisation options to make it your own. Within the WordPress theme module are lots of free and paid themes for you to choose from, or you can go on a site such as Envato and purchase other themes. Note: Installing custom themes is applicable to self-hosted. Plugins are mainly available for self-hosted blogs and allow you to install upgrades to your WordPress site, such as things that improve the visual user experience on the front end or provide services on the back end, such as security, statistics, backup scheduling etc (the list goes on). At the time of writing, there are over 49,000 plugins available and there is a plugin for almost every bit of functionality you may want. When deciding which plugins to install I often check the reviews and the rating. I also check when the plugin was last updated. Ie a plugin that was updated 3 years ago is probably not up-to-date with any new security features in the latest WordPress updates. As well as looking at the information available on the plugin page I also look online for reviews. For example I may search for “The Best SEO plugins for WordPress” which brings several sites reviewing various plugins available. I often trust sites like this. Some of the plugins I use are below and for other recommendations head to Must Have Plugins for Your WordPress Blog. Some of them are available as free or paid versions. Often I use the free version to test it out, and if I like it I then upgrade. One of the top recommendations from the big bloggers is to build a mailing list and to do this from the early stages of your blog. There are a large number of mail list providers available but I decided to go with MailChimp. The reason I went with them is because they provide a free package, which is perfect when you start out and are building your list. Once your mail list grows to over 2000 subscribers you will then need to pay for a bigger package. MailChimp also makes your life easier when writing the emails, as it has a drag and drop visual type editor which saves a lot of time and provides heaps of other functionality. If you want to see some of my previous emails and potentially sign up click here. WordPress is a fantastic tool that makes blogging so much easier. I hope this provides you with lots of information to get you started creating your own WordPress Travel Blog. Need some help building your WordPress Travel Blog? Head to www.travelanddestinations.com/services-wordpress-management to learn more. 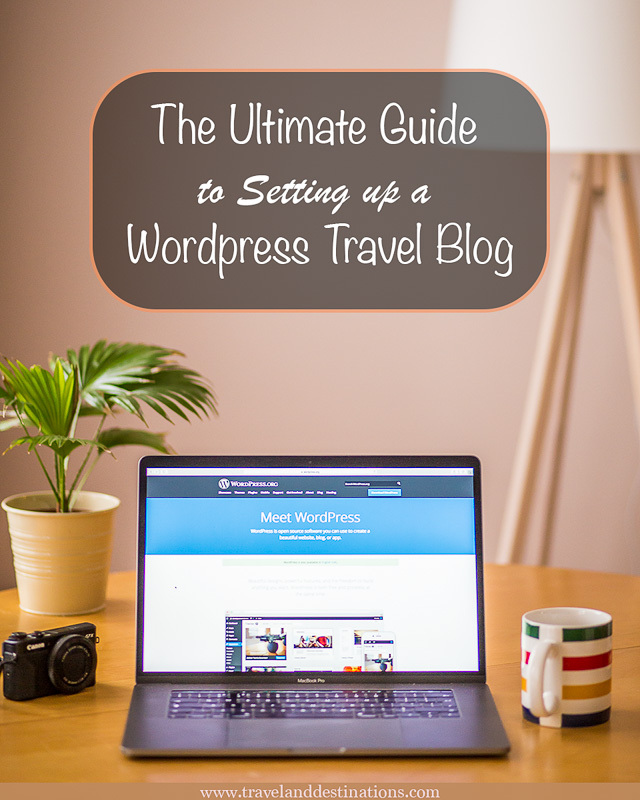 Hey Buddy!, I found this information for you: "The Ultimate Guide to Setting up a WordPress Travel Blog". 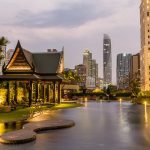 Here is the website link: https://www.travelanddestinations.com/ultimate-guide-to-setting-up-wordpress-travel-blog/. Thank you.